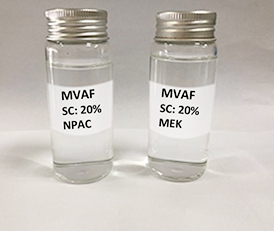 New grade MVAF: It is white powder、ester soluble with colorless and transparent solution, and it has with excellent solvent release、film-forming、dispersibility、color contrast property and wettability, moreover, it has excellent dispersibility in pigment and has very good adhesive force on PET,which can completely replace T5HX grade of Kaneka etc. 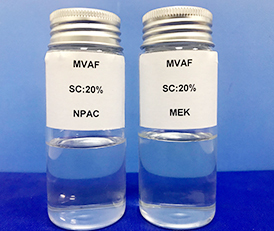 MVAF new grade is mainly used for application gravure plastics composite printing inks、PU inks、can sealed coatings、plastic coatings、magnetic tape and carbon tape adhesive etc. *Must be transported in clean vehicle with awning and keep away from moisture.